The RAPID turns heads whichever way it turns. 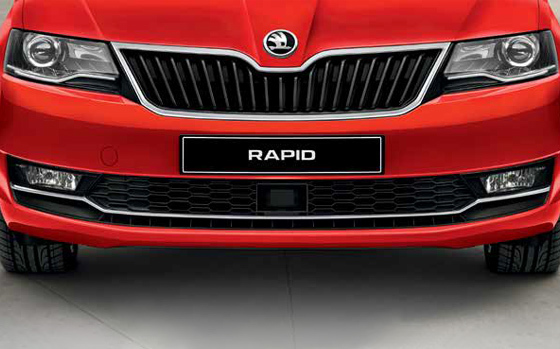 With its sharp, angular aesthetics and one-of-a-kind styling, the RAPID has something for everyone. Side-view mirrors: The side indicators, placed in the external side-view mirror caps, represent an attractive as well as highly functional detail. Front view: The wide air intake grid, with integrated fog lamps as well as a chrome strip, feature at the front of the car. 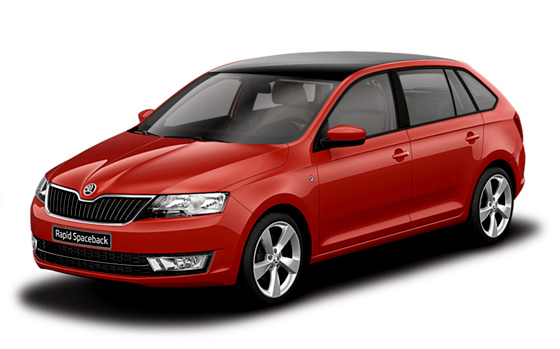 Panoramic roof†: The sporty style of the RAPID can be highlighted with the panoramic roof made entirely of tinted glass and rear glass extended over the tailgate. †Included in optional Sports Pack. Space gets a beautiful makeover inside the RAPID. A refined yet uncluttered dashboard means that everything has a perfect place. Décor: Comfort meets style inside the RAPID with a brushed grey dash insert, sleek modern-design seating and convenient-to-reach control panel in the centre. For those seeking something on the sporty side, the Sport Pack interior offers details that will leave your heart racing. Décor: The interior of the optional Sport Pack features sleek sports seats, a glossy piano black dash panel as well as sports pedals which give the interior a racy edge. 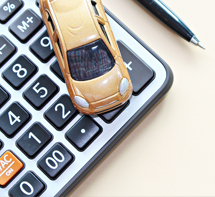 Your car is the hub for all things work or play. The infotainment systems bring toplevel connectivity so you can enjoy the best functions of your mobile devices on-the-go. Amundsen†: The Amundsen navigation system, controlled via a 6.5" touch-screen display, has two SD card slots and comes with an SD card pre-installed with maps. It’s further equipped with a USB/Aux-in input jack and all the standard functions of a top radio, including the ŠKODA Surround sound system and Bluetooth®. 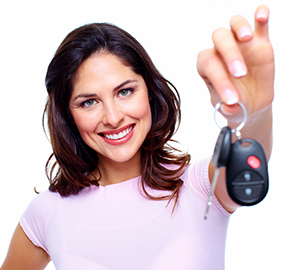 SmartLink^^: Your car and smartphone are now in perfect sync. 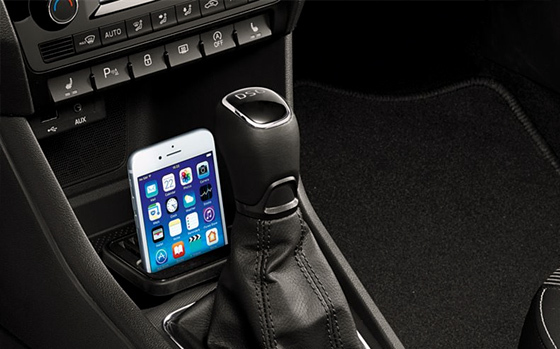 The SmartLink system delivers a seamless connection between your car and selected apps from your smartphone using, Apple CarPlay® and Android Auto™ interfaces. Whether you want to select and listen to music on your smartphone or receive turn-by-turn directions, selected apps are mirrored and can be controlled via the RAPID’s infotainment unit. ŠKODA Surround: Turn your car into an amphitheatre. 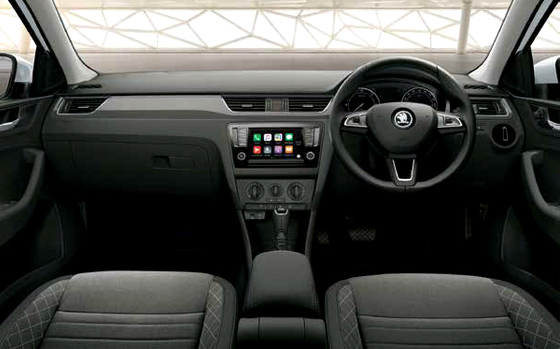 The ŠKODA Surround sound system employs six speakers. Special software can additionally employ two virtual speakers in the front and rear. The system can also create a virtual yet impressive subwoofer. Various active and passive assistant systems ensure that every drive in the RAPID is safe and totally hassle-free. These assistants allow you to respond promptly to whatever the road throws at you. Front assist with city emergency brake◊: Using a radar in the front bumper, the Front Assist monitors the distance from the vehicle ahead and responds with an audio/visual signal, using the multi-functional display, to warn about an impending collision. If the driver fails to respond, the system initiates braking to minimise any possible impact. Airbags: Besides the front and front side airbags, the head airbags, which create a wall when activated, protect passengers from potential injuries. Included in the optional Image Pack, the Rear View Camera* gives a clear view of objects usually out of sight allowing the driver to manoeuvre with added confidence and safety. When in reverse, the infotainment unit reveals a realtime image display with superimposed graphic lines thanks to the camera built into the tailgate.